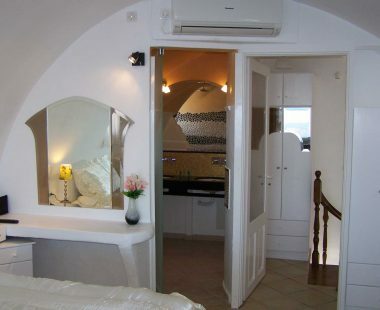 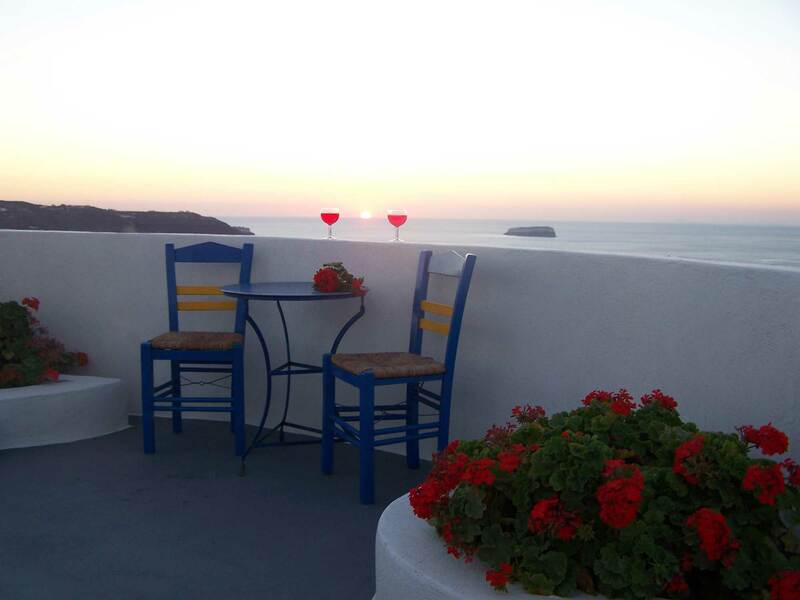 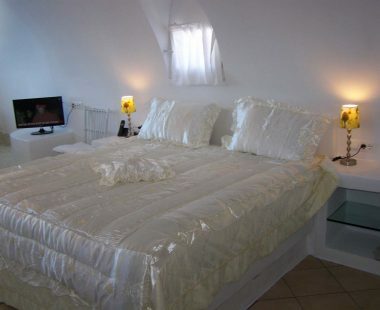 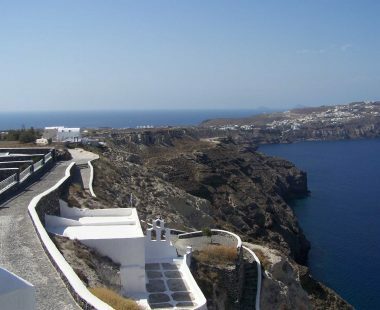 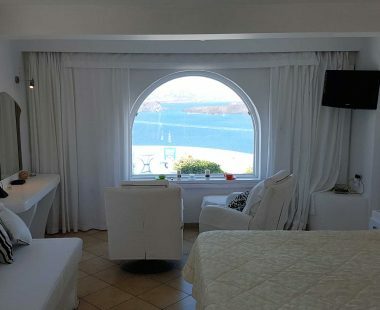 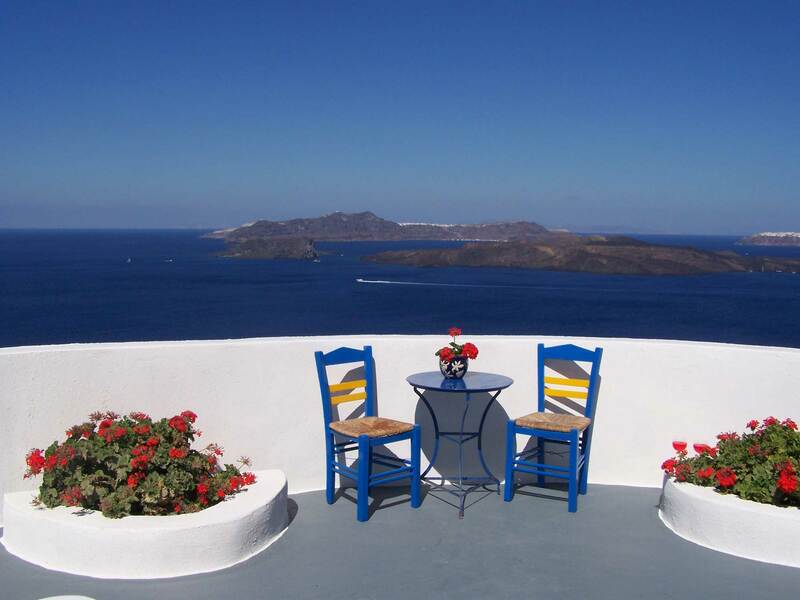 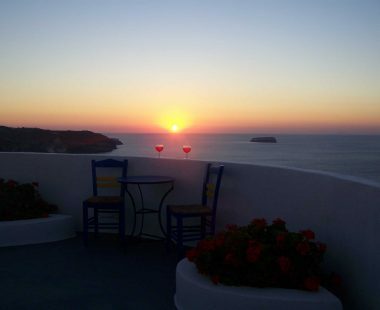 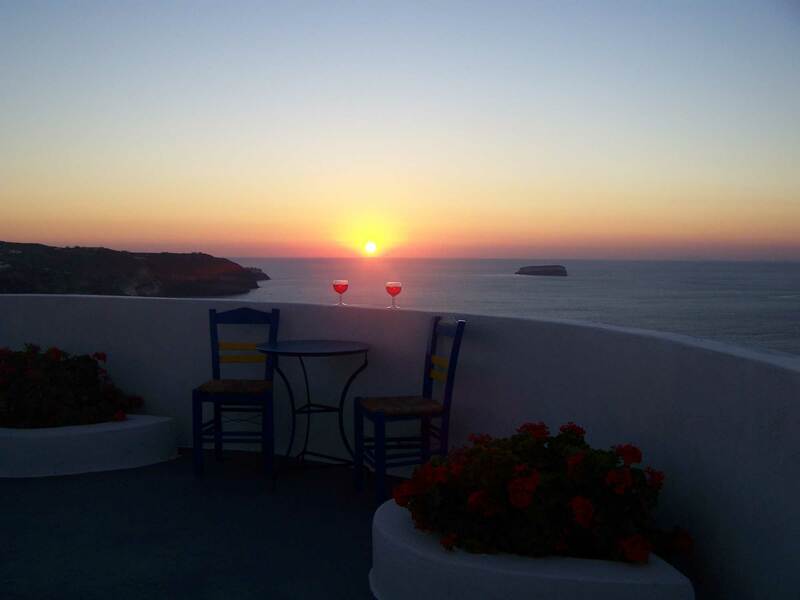 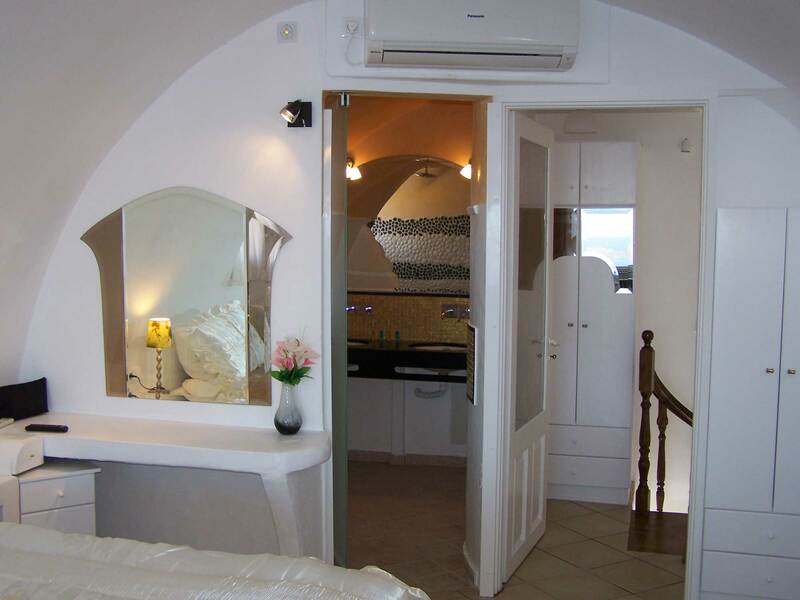 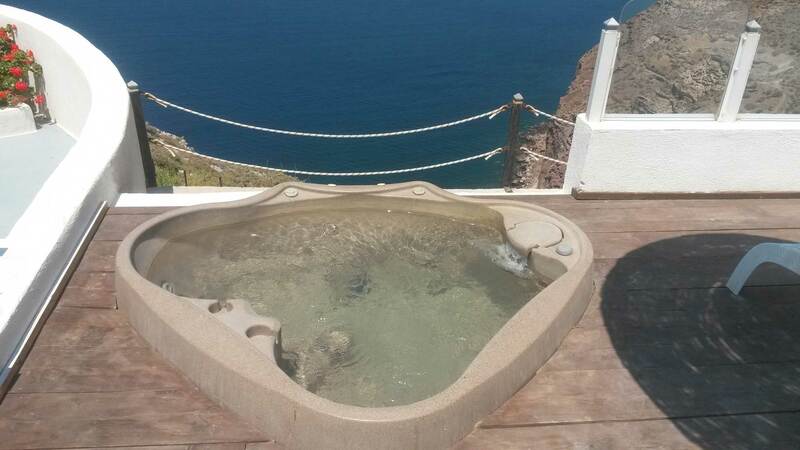 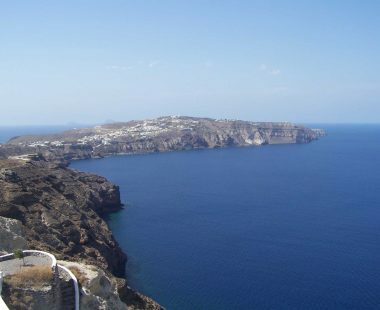 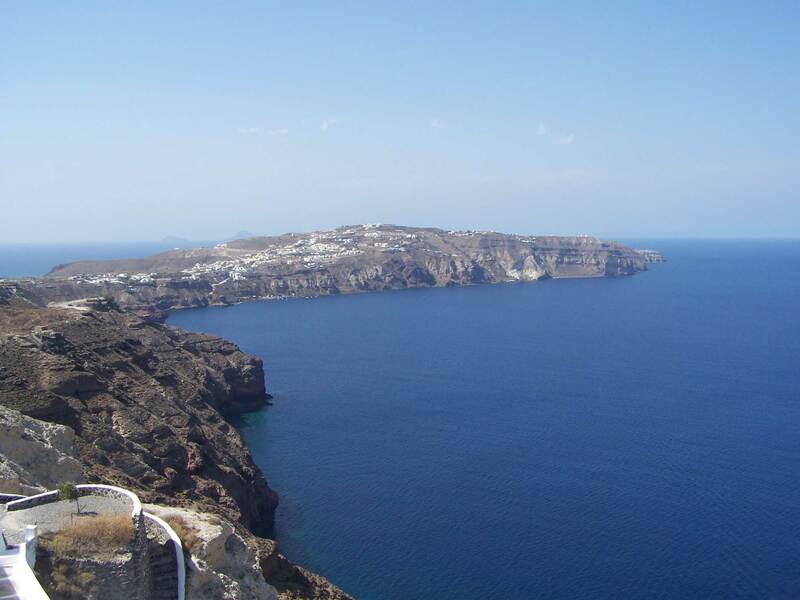 We welcome you to Caldera View Villa at the beautiful island of Santorini. 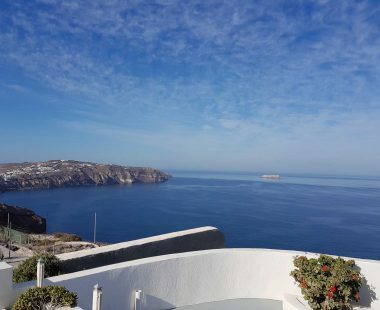 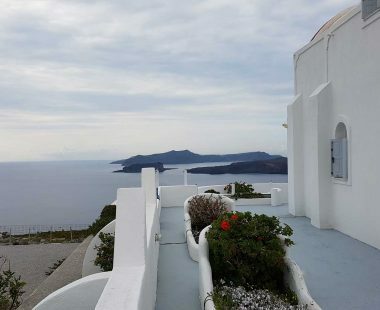 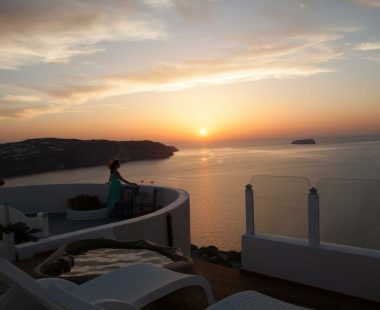 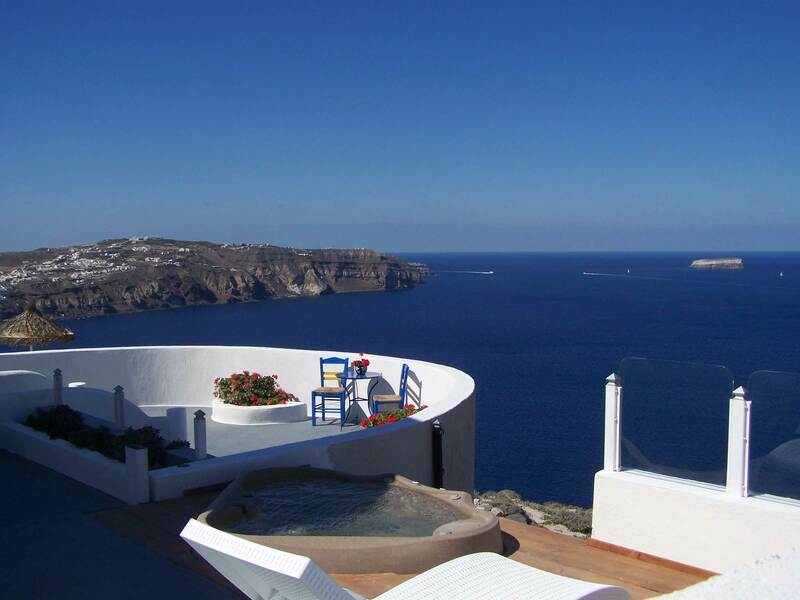 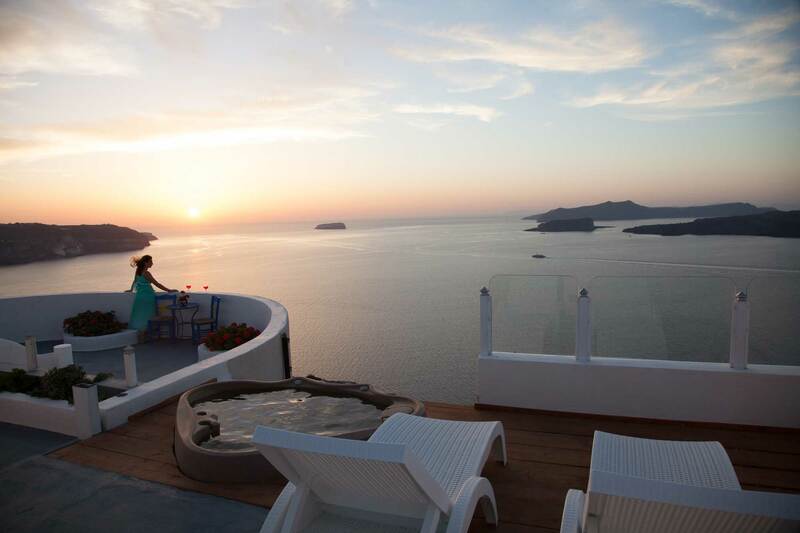 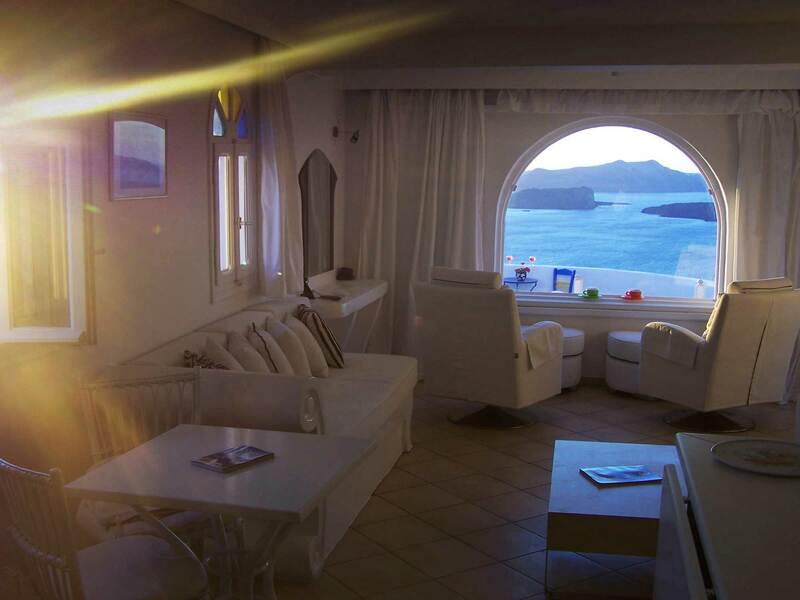 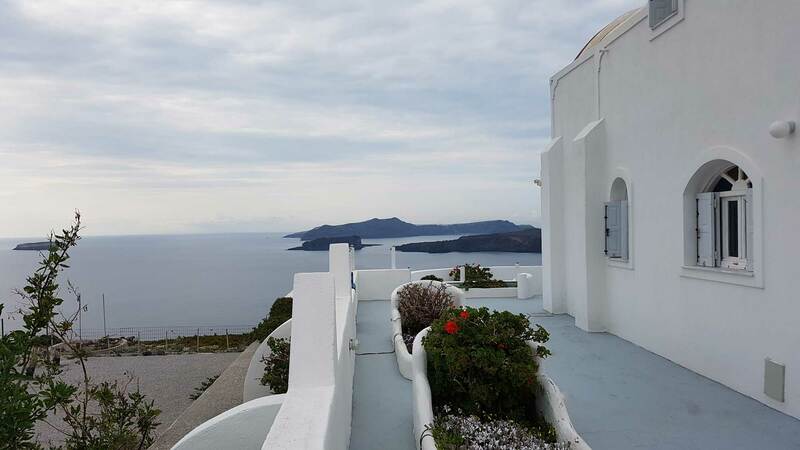 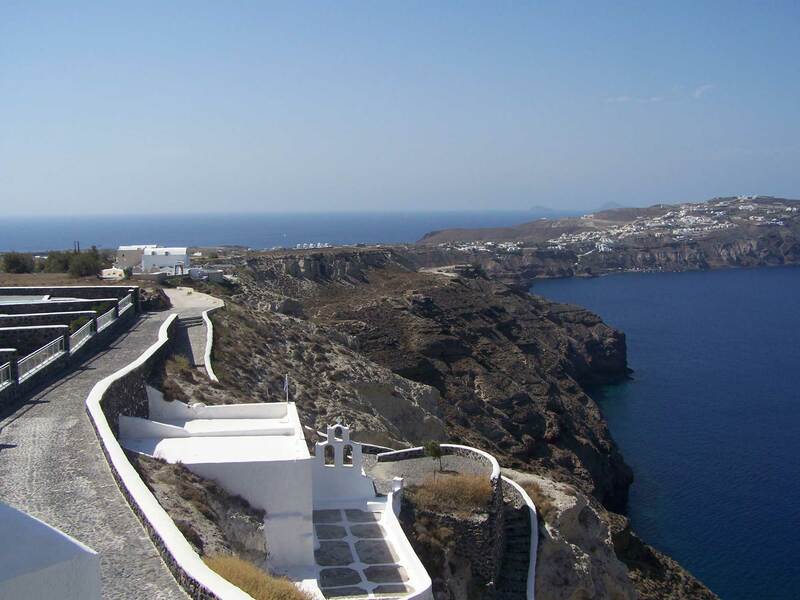 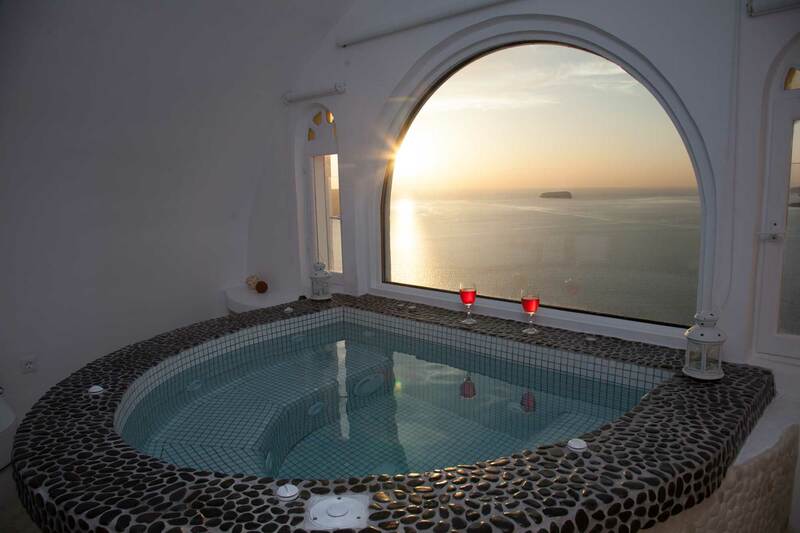 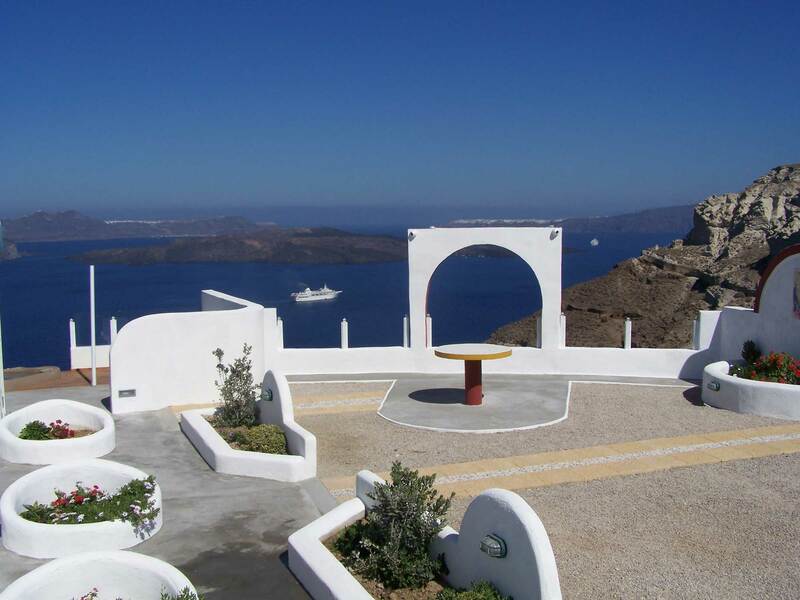 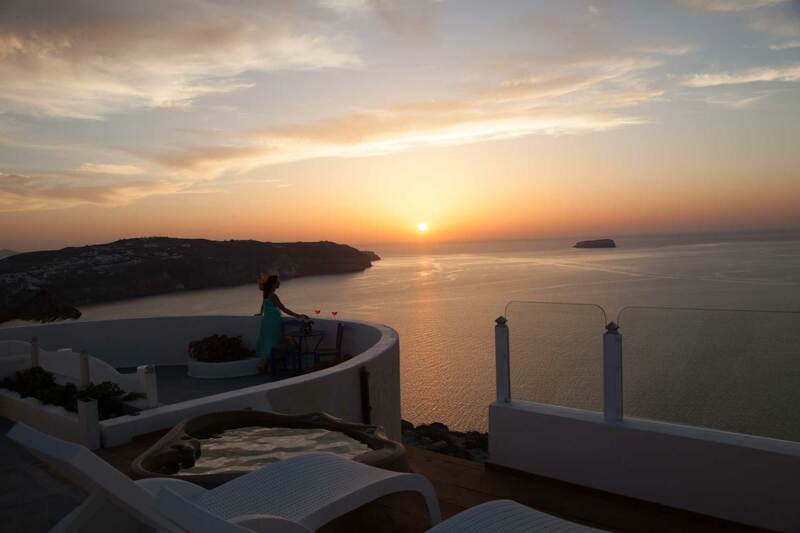 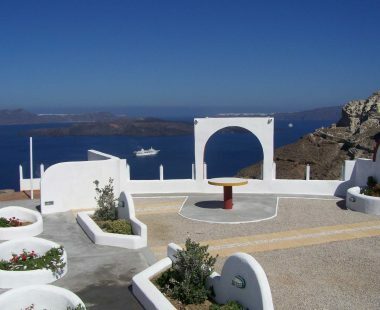 Caldera View Villa is one of the jewels of Santorini, is positioned in an ideal location. 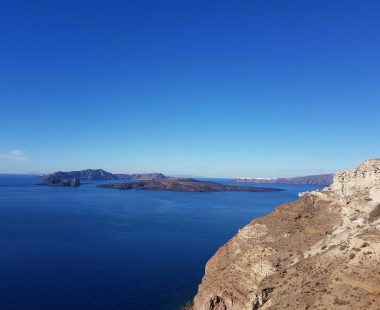 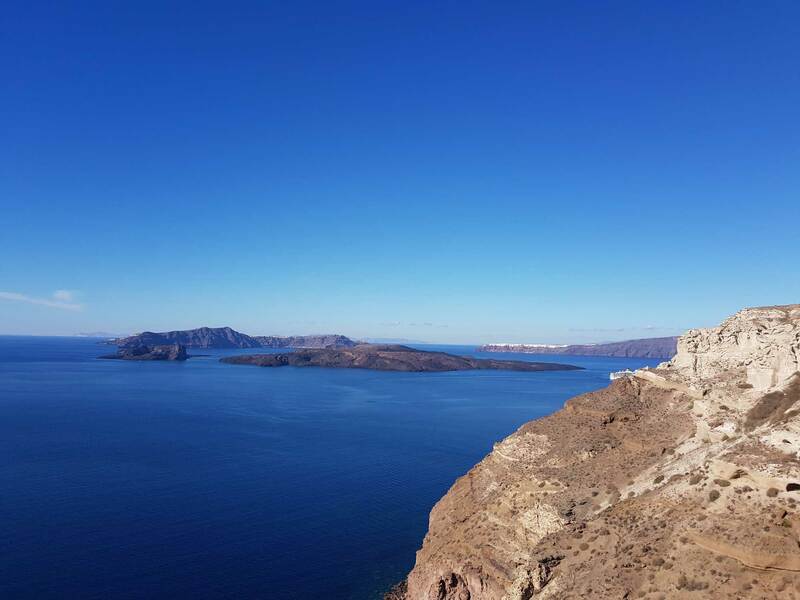 Alone on top of the Caldera’s cliffs, in the middle of our 10.000 square meters property with 300 meters frontage on top of the cliffs. 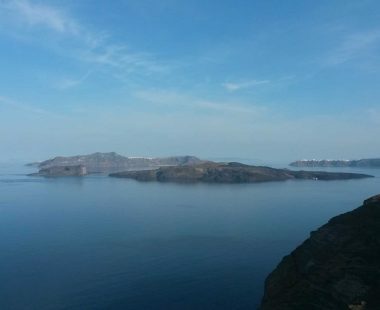 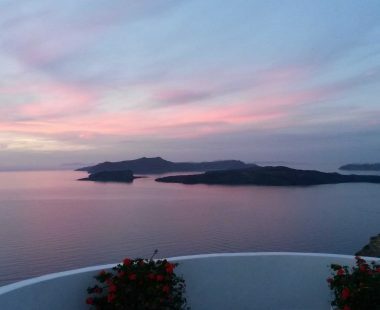 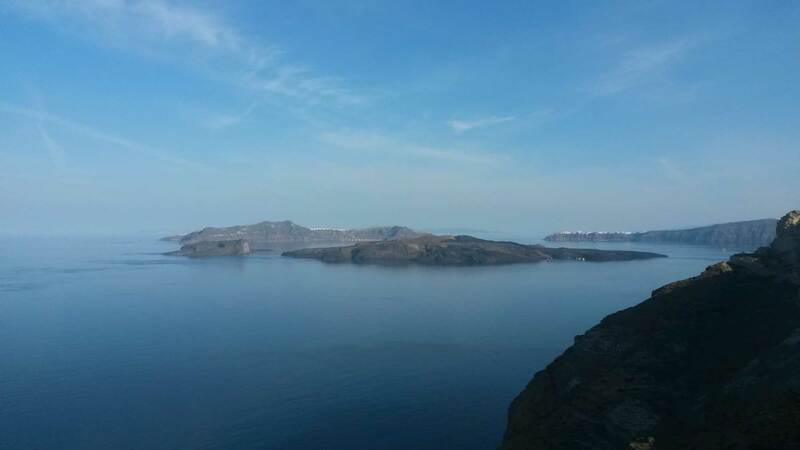 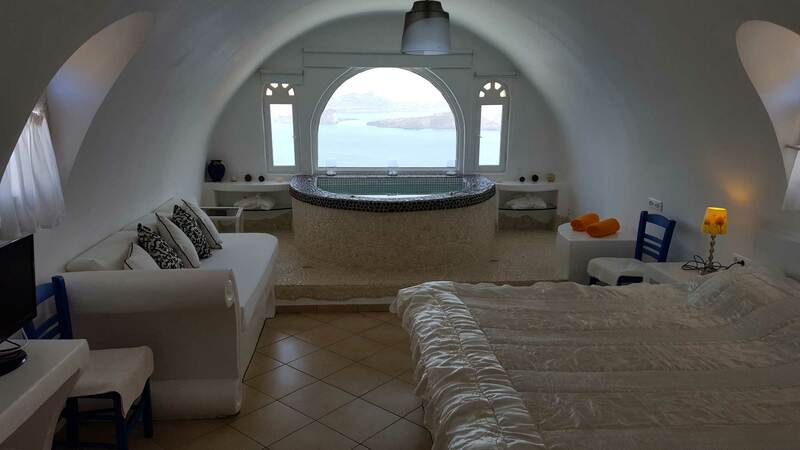 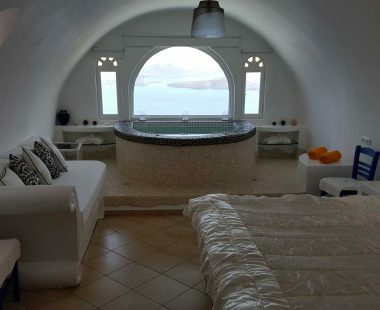 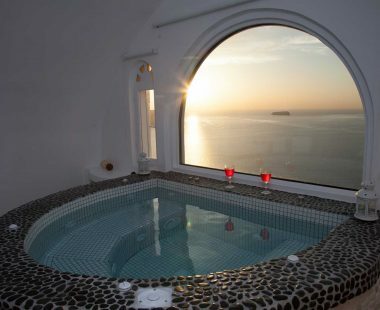 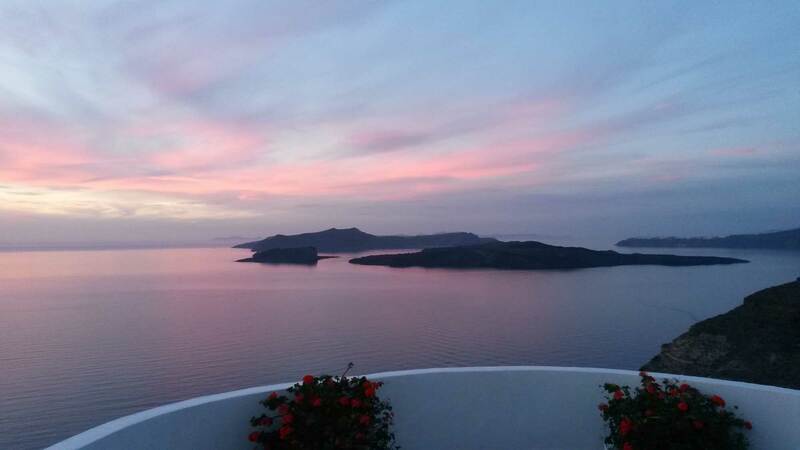 And because its located in the middle of the Caldera, it has unique view of the Volcano and maybe, the best and the most romantic Sunset in Santorini. 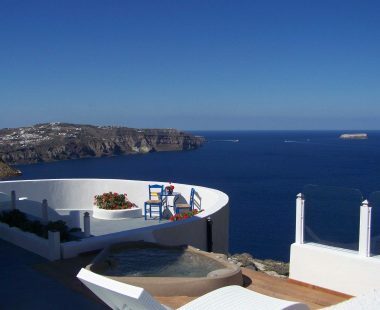 Caldera View Private Villa’s philosophy is to provide you an unforgettable stay. 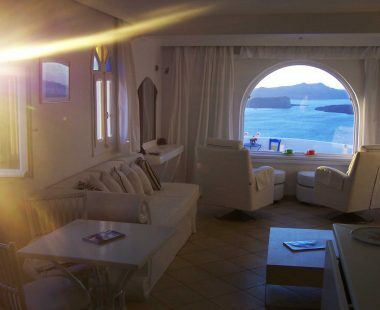 Our Visitors find it hard to choose between, inside of the Villa with all the comforts provided and the beautiful view and outside of the villa where the astonishing view takes your breath away. 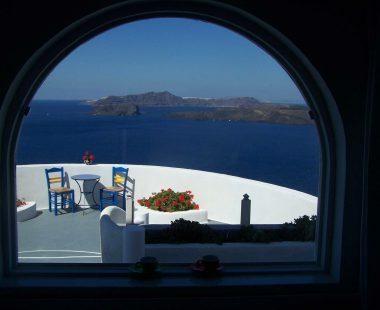 Either you are inside the Villa or outside the view seems to be the same. 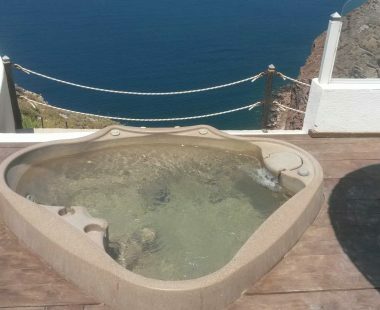 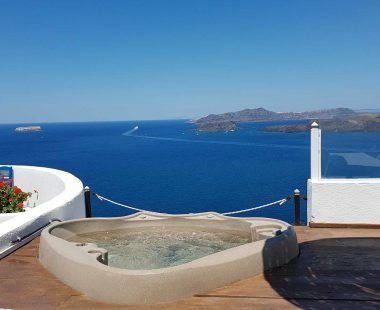 Caldera View Private Villa is ideal for Honeymooner’s, couples and for everyone who seek quiet, luxury and private holidays. 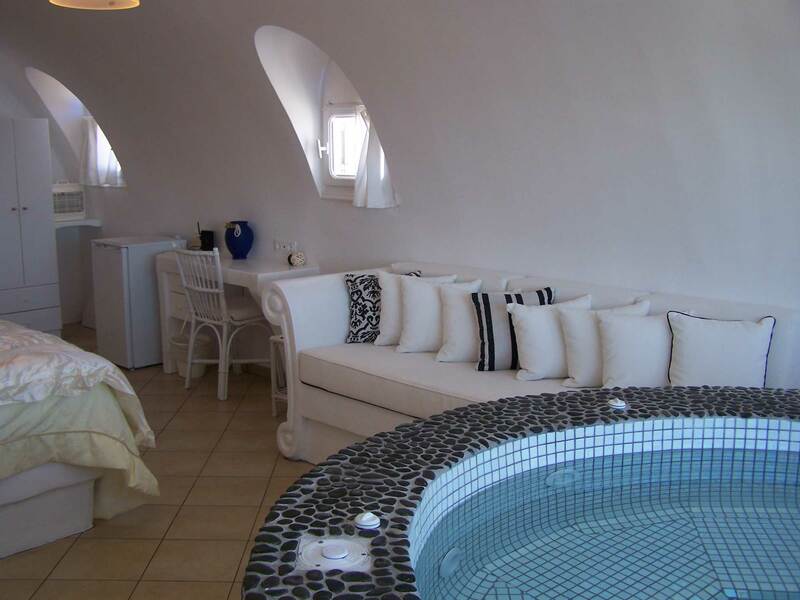 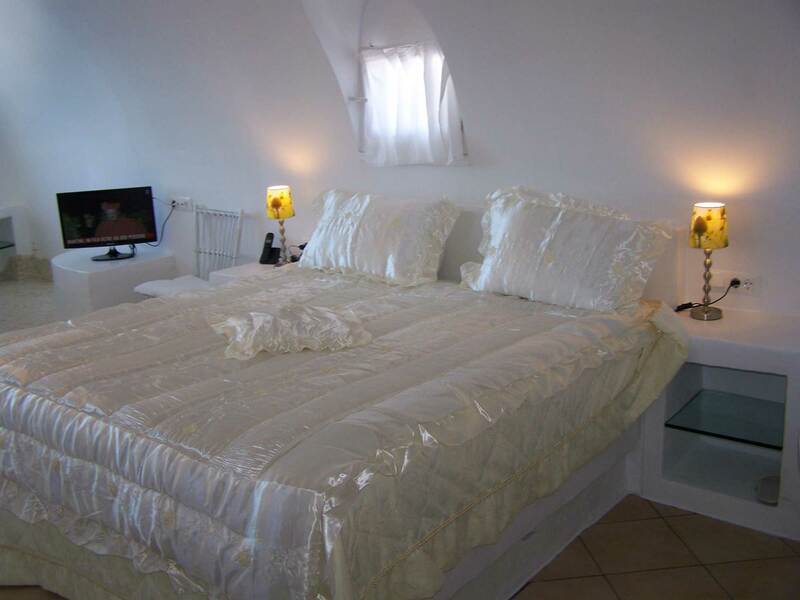 Villa can accommodate 2-4 persons. 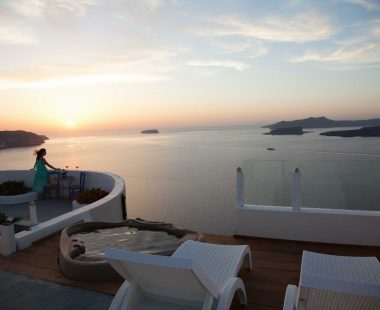 It has flat easy access, without tiring steps. 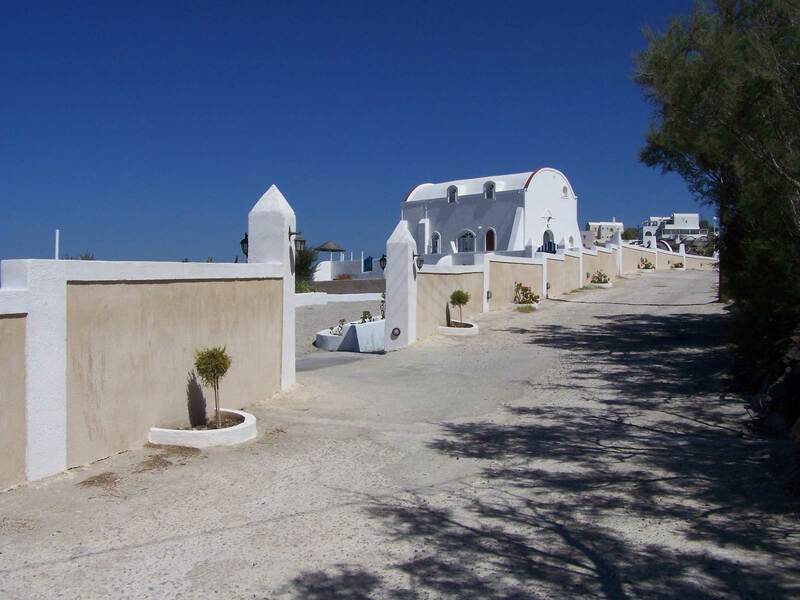 Comfortable Parking (2.000 m2) exactly outside of the Villa. 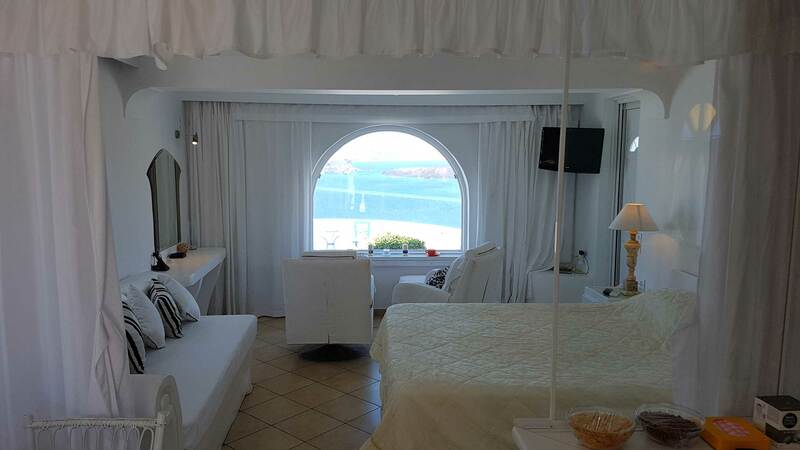 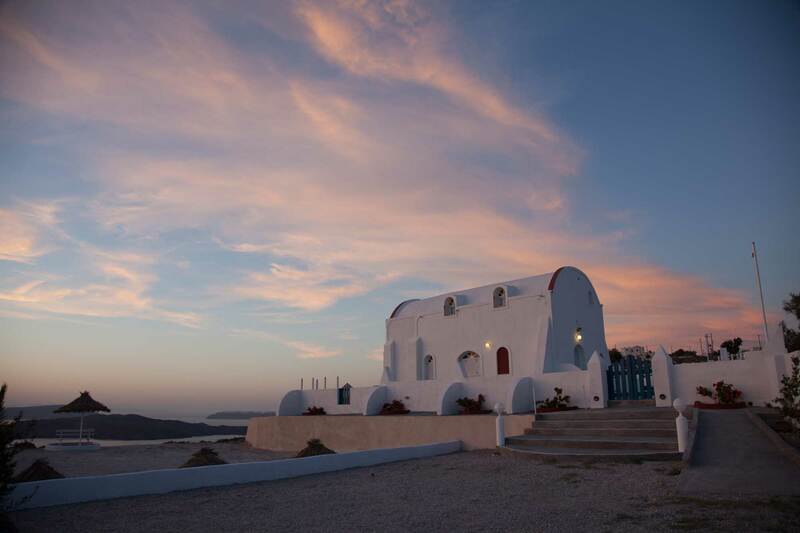 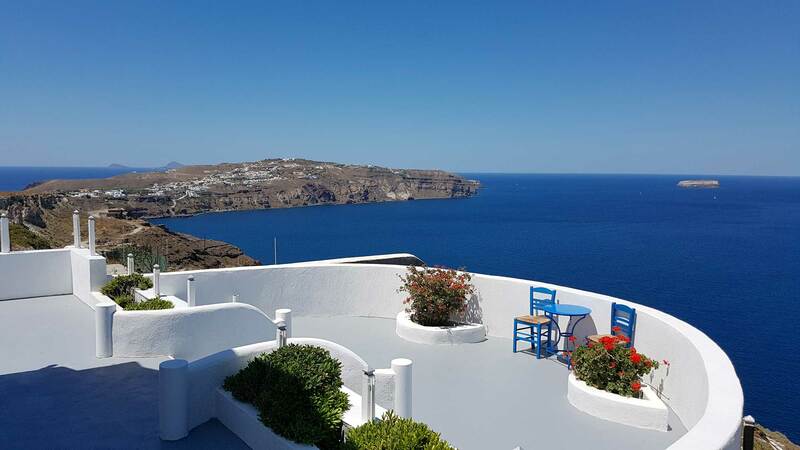 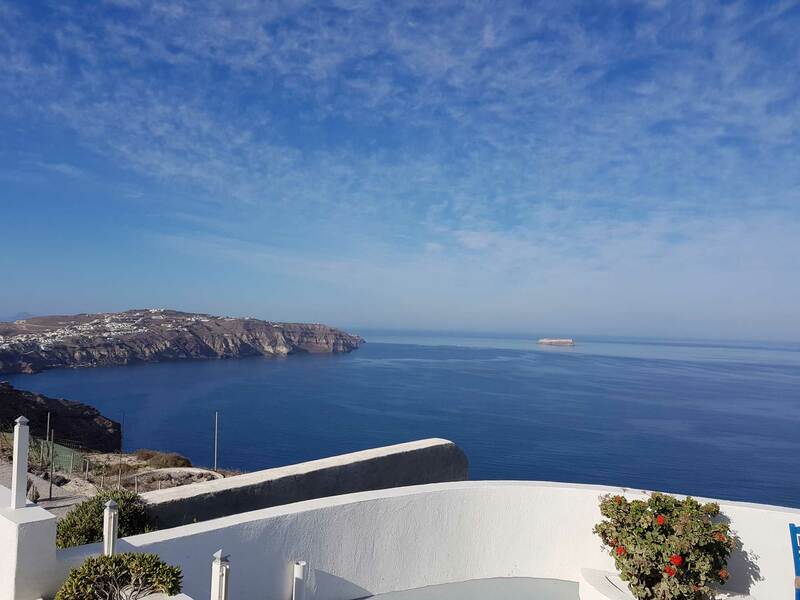 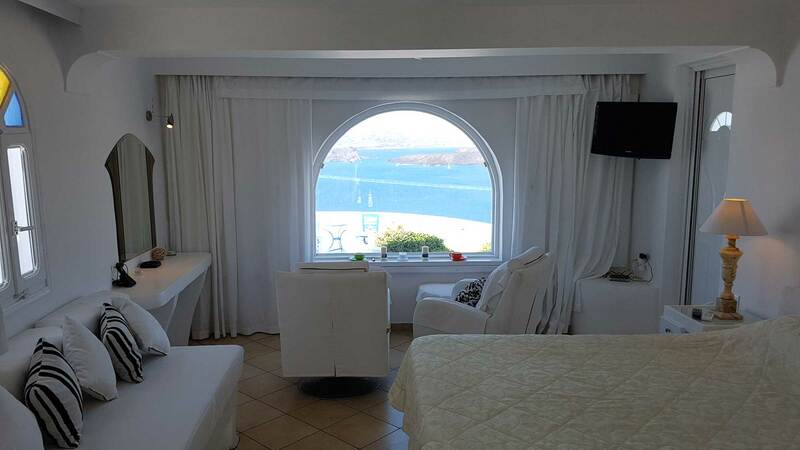 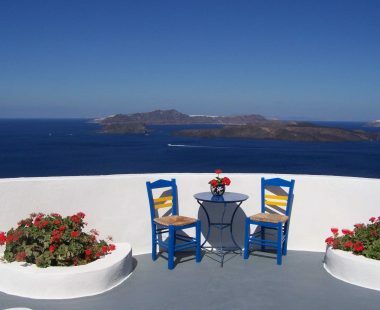 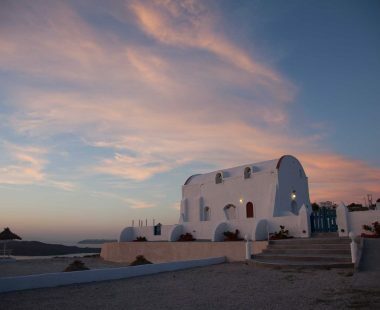 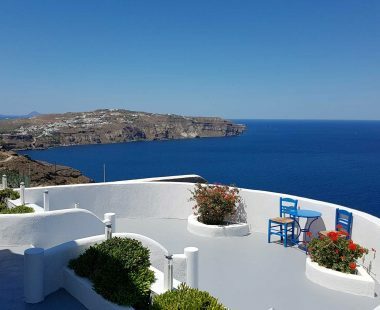 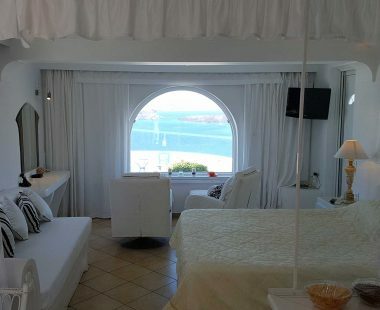 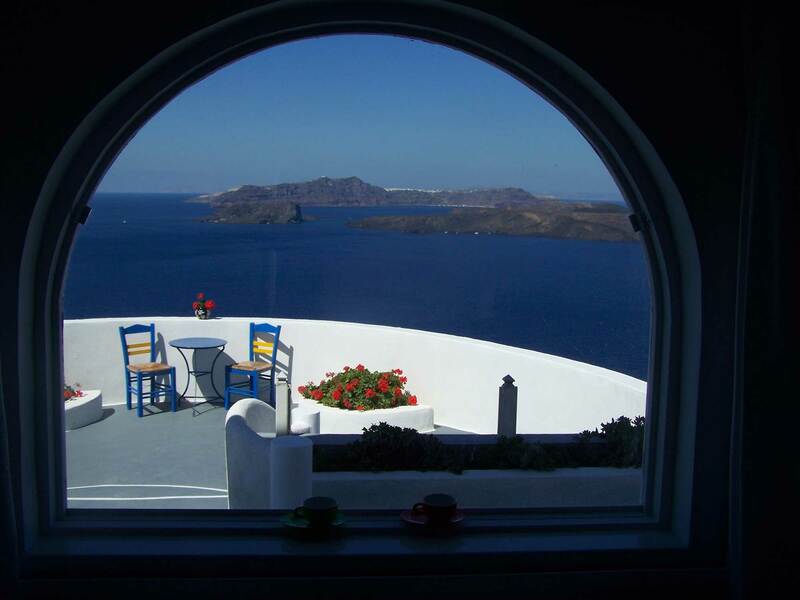 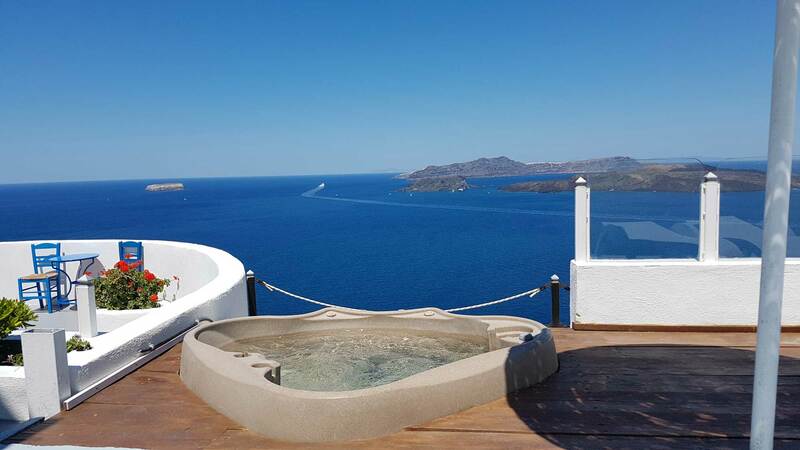 Caldera View Villa is built in a traditional Cycladic style with peaceful colours. 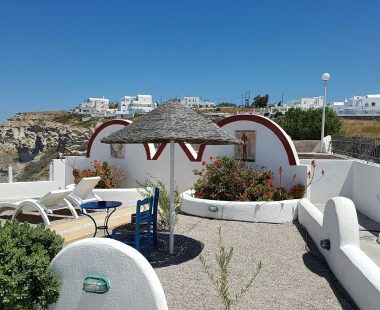 It’s a 2 floor maisonette (80 m2) fully equipped, far from other buildings (the closest neighbour is at 100m distance). 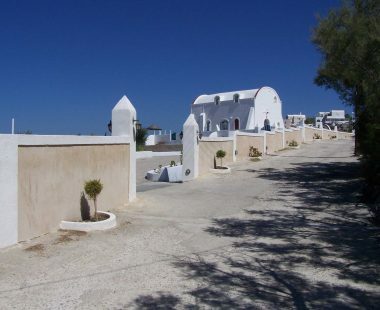 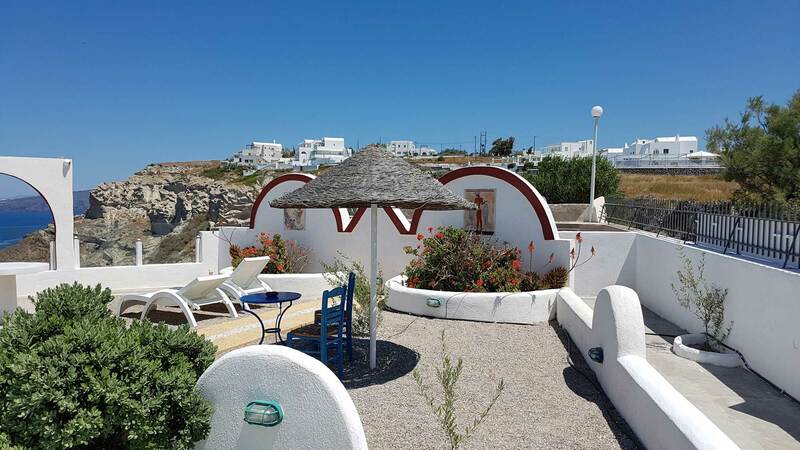 It is only 500m from the traditional settlement of Megalochori, 7km from Fira Town and only 3 km from Akrotiri Village with the Archeology ruins and the unique Red Beach.